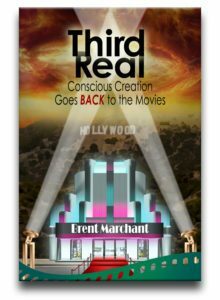 As an entrant in the 2018 Best Book Awards competition, I’m pleased to announce that my latest title, Third Real: Conscious Creation Goes Back to the Movies, is now listed in the New Age Non-Fiction section of the AmericanBookFest.com web site! The listing includes the book’s cover and description, as well as a link to the title’s listing on Amazon.com. This post will be available for the next five months until the announcement of the winners in November. Wish me luck! In the meantime, check out the listing by clicking here.